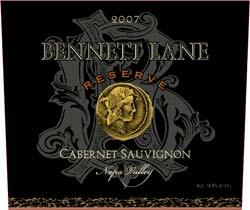 Bennett Lane is a boutique winery located at the north end of the valley specializing in small lots of hand crafted 100% Napa Valley wines. Come join us at the top of the valley. Napa Neighbors appointments available Monday-Friday. Call for an appointment. We pride ourselves on being the friendliest tasting room in the Napa Valley. Join us for an educational tour and tasting of some of the finest wines in the valley in a warm and inviting atmosphere. To join the wine club, visit www.bennettlane.com or call 707-942-6684. Joining the Wine Club gives you the opportunity to enjoy our award winning Napa Valley wines year round, delivered to your home or business. Bennett Lane Wine Club Member Benefits include 15% off on all wine purchases, free tasting for members and a guest for each visit the winery, Pre-release access to wines, access to wine club only wine releases, invitations to private events at the winery, and 6 shipments per year of two bottles of hand crafted artisan wines. Complimentary Tastings for Napa Neighbors. Maximum 2 comped per party. Appointments available Monday through Friday. Please call for appointment.